Zander Bleck has released the video for his debut single "Temptation". The video was shot in New York City's underground bar, Santos Party Room, reminiscent of Zander's roots as a struggling musician. It's a performance video to highlight Zander's powerful voice, but of course no video about "temptation" would be complete without a beautiful woman. "Temptation" was written by Zander and Holly Knight (who penned hits for Heart, Tina Turner and Pat Benatar) and was the song that got the attention of producer RedOne (Lady Gaga, Usher). "Temptation" is the first single off MONUMENT, which was recorded in various studios around the globe in 2010, and the early part of 2011. A subsequent studio session with famed producer Mutt Lange produced the track "Bring It On" which was recently featured in FOX Television's regional and national promos for the PAC 12 NCAA conference games. Both "Temptation" and "Bring It On" are available for sale at iTunes. Zander is currently putting the finishing touches on his debut set, MONUMENT, which will be released later this year on Interscope Records. A self-taught vocalist, Zander grew up in Hunterdon County, NJ, where at the age of nine he fell in love with rock and roll while watching a video of The Who perform at Woodstock. 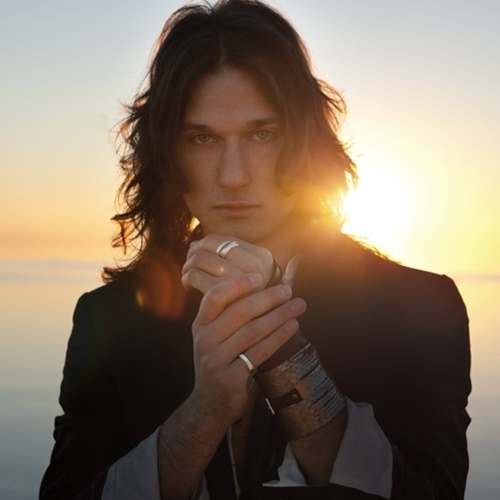 Upon graduating high school, Zander moved to New York City and started his first rock band, Monument. He began to write songs and was able to get Monument gigs all over the city. Zander branched out on his own and used his connections to line up songwriting sessions that led to him signing a deal with Interscope Records. Zander recently shared the stage with David Cook and The Wanted.